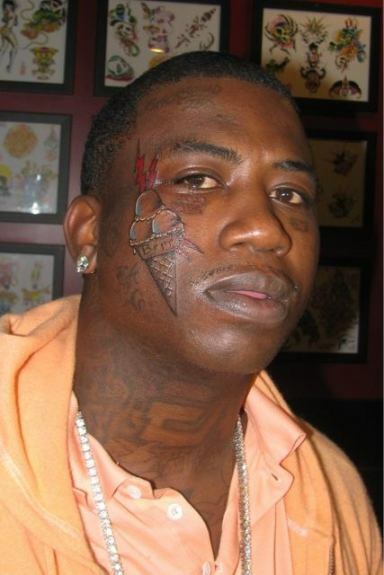 I've long accepted that rappers are the new rock stars, but how dare they also take the throne for dumb tattoos away from the hesher/beardo crowd? 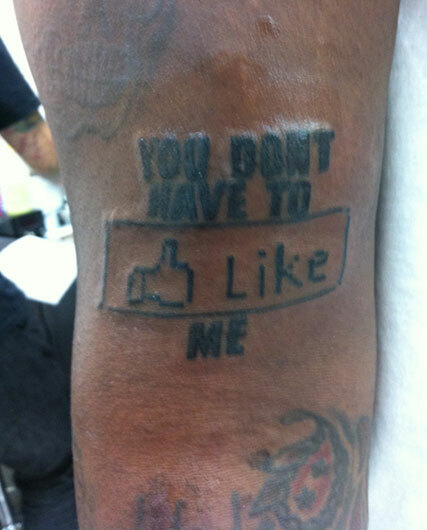 Below is a photo of T-Pain's new Facebook tattoo. This comes on the heels of the whole Gucci Mane ice cream tattoo fiasco. What the hell is going on here, people? Below: a favorite I took of a fine red-haired Caucasian specimen on the L train (duh). Time to up the ante, hipsters. 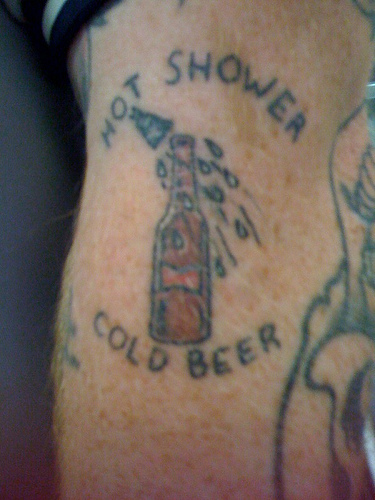 Speaking of tattoos: I'm now officially in the process of figuring out what to do with Texas. It's way too frustrating when US citizens ask me what state it is (c'mon son, TX has brand awareness on lock!). I also hate being a TX poseur in lieu of actually explaining to folks that I got it out of commie guilt.